At first, this may seem like an odd post to appear on SMP Debate, but please allow me to explain. When scalp micropigmentation as we know it first came into being back in 2002, it was HIS Hair Clinic that introduced the idea to the masses. 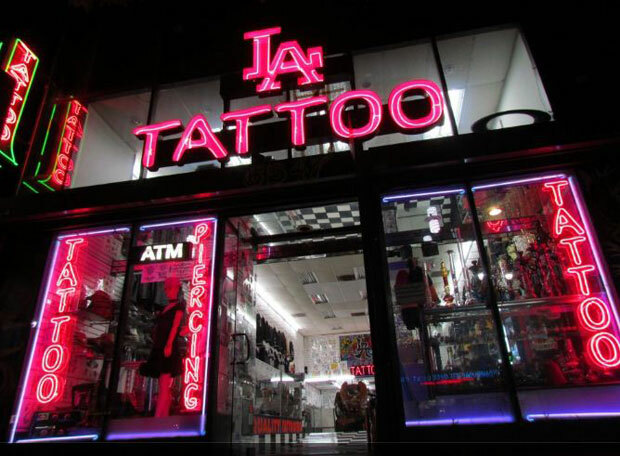 Contrary to popular belief however, the procedure actually pre-dated HIS as it was offered as an experimental procedure by a number of permanent makeup artists, as well as a handful of tattoo shops. Photographic evidence from that time is extremely rare so I have nothing to show you, but suffice to say the results were terrible. When HIS Hair Clinic claim to be the company that introduced the modern scalp micropigmentation process, their claim is probably a fair one. Way back when, scalp micropigmentation was known as a hair tattoo, the same term used to describe a short haircut with all sorts of patterns and shapes cut into it. The term SMP wasn’t introduced until much later, and it is actually an American term that became universally adopted. Even HIS Hair Clinic used to call it a tattoo, or MHT (Micro Hair Tattoo). Fast forward to today and all reputable providers refer to this technique for hair loss as SMP, or a slight variation on this theme. Some call it scalp micropigmentation, others call it scalp pigmentation, some even call it micro scalp pigmentation, but they’re all referring to their version of the same solution. If, however, a provider starts to refer to their procedure as a hair tattoo, be cautious. What is the difference between a hair tattoo and SMP? Both terms can be used to refer to the same thing, i.e the process of placing material in the scalp to mimic shaved hair. The difference lies in the skillset and background of the provider. 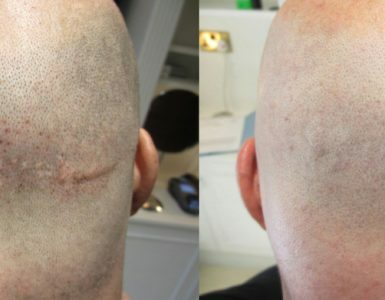 Professional hair loss specialists refer to this type of treatment as SMP, almost without exception (see below). The term ‘hair tattoo’ tends to be used by a different kind of provider, usually those that fall within the tattoo shop or permanent makeup categories, not by those who are true experts when it comes to high quality hair simulation treatments. The replication of real shaven hair on the scalp is a highly specialised process, and should only be attempted by those with specific knowledge in this field. There is no place for providers that ‘have a go’ at this. It takes months of training and years of experience to perfect the SMP technique, and is best completed by those who do nothing else. This is NOT the sort of place you should be getting your SMP procedure. Hair tattoos might be cheap and easy, but they’re not the real deal. Furthermore, even assuming that skill levels are on a par, the technique itself and the equipment and materials used are completely different. 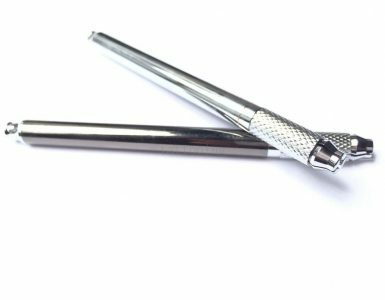 Scalp micropigmentation needles are generally triple cluster, as are permanent makeup and many tattoo needles, however they are much finer and are inserted at a shallower depth. Tattoo and permanent makeup inks are also unsuitable, with most SMP practitioners using Indian ink or a variation of standard cosmetic pigments. Finally, SMP is not just about artistry. A properly executed procedure is more than a work of art. It’s an illusion, and this is a subtle yet important difference. No-one wants a work of art on their head, they just want the most realistic illusion of hair possible. 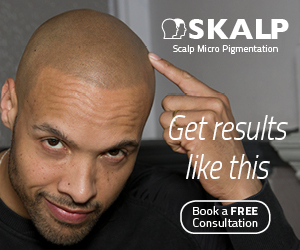 Simply put, almost all professional hair loss specialists refer to this procedure as scalp micropigmentation. If your provider uses the terminology ‘hair tattoo’, take extra care in your research before you commit to any treatment. Is this a widespread issue? Totally. I am truly horrified by the sheer number of people who don’t see the problem with going to their local tattoo shop for hair replication. Their motivation is usually cost, however I feel this is a symptom of a lack of education in this area. As they say, a little knowledge is a dangerous thing. Just one example. I passed a referral to Artistry Concepts in Florida a few days ago. The client was looking for an SMP provider to match his requirements and asked for my advice as I am happy to provide this service for free. I referred him to Artistry Concepts because he was also based in Florida, and the company suited his treatment needs very well. I then received an update from Gale at AC yesterday to say thanks for the referral, but he didn’t want to make the 2.5 hour drive to Fort Lauderdale because it was too far!? Artistry Concepts is the only provider within immediate striking distance of his location, so no doubt he’ll end up at a local tattooist. I wish him the very best of luck, but I’m concerned about his outcome. Hair Ink are one of the UK’s best providers, yet their roots lie in permanent makeup. They are most definitely another exception.